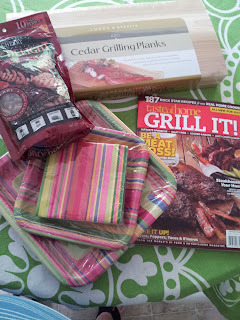 My Outside Voice: Great idea for a Summer hostess gift! Great idea for a Summer hostess gift! A couple of weeks ago we hosted friends for an impromptu Cinco de Mayo celebration. Nothing fancy, everyone brought something we made two pans of chicken enchiladas using this recipe and a batch of strawberry basil sangria using this recipe. Friends brought BBQ ribs using the Rick Bayless recipe, they were delicious and steak fajitas which I have still been thinking about. It was a lot of fun, and one of my favorite things about the night was a hostess gift given to us by a special friend. She is always so thoughtful and original. Always has the nicest things to say and some really good ideas. I thought I would share this hostess gift idea, I think it would work for an afternoon BBQ hostess gift, visiting someone while on a trip or a pool party! 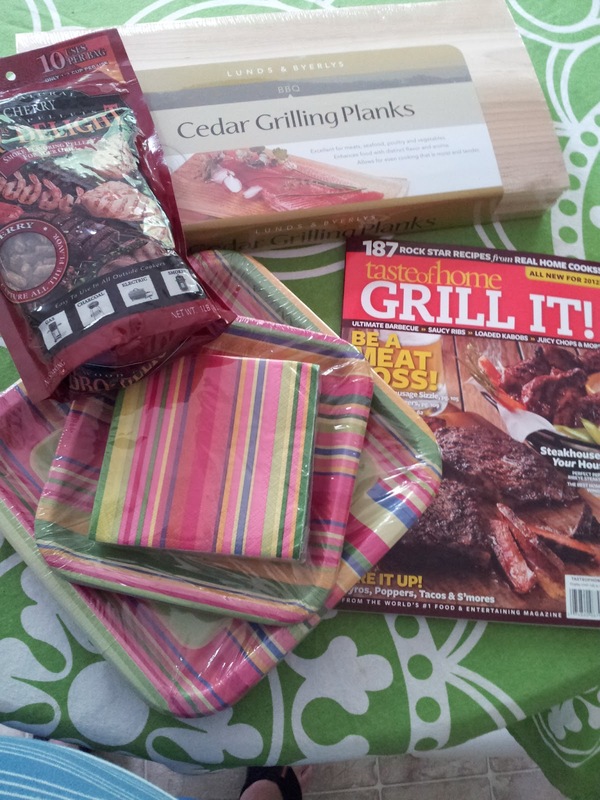 The gift bag included decorative paper plates both dinner and appetizer size, with matching napkins, seasoned wood chips for the grill, grilling planks and a Grill It! magazine. Great idea, the boy and I just loved it. I love thoughtful people. I feel ashamed, because I am not one of them. But I love them anyway :) That really is a great hostess gift. That is a cute gift idea! I may just steal that from you! 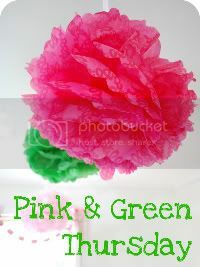 I always have trouble coming up with something creative for hostess gifts, this is a great one!